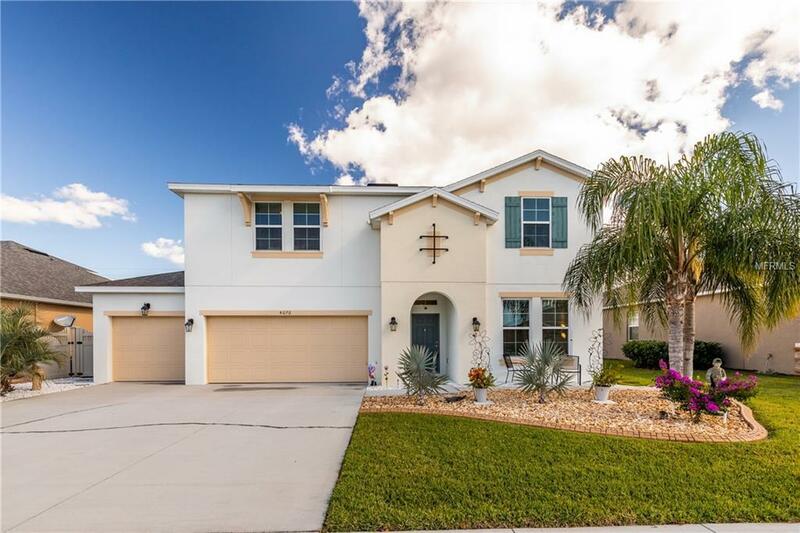 This 4 bedroom/ 3.5 bath pool home has everything you've been looking for! 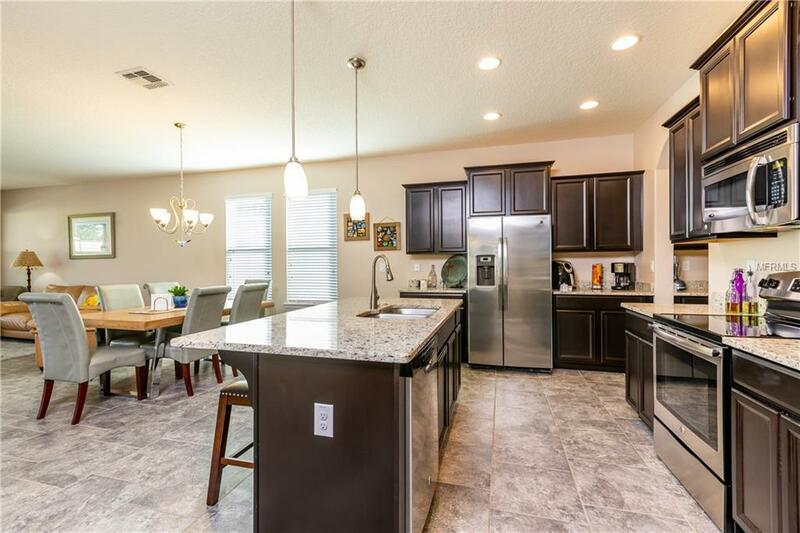 Located in the quiet Brookshire community, with NO REAR NEIGHBORS you'll find plenty of room for family and friends, and upgrades in every room. Upon entry, you'll be greeted by neutral tones, an open floor plan, and a flex space perfect for a home office or sitting area. 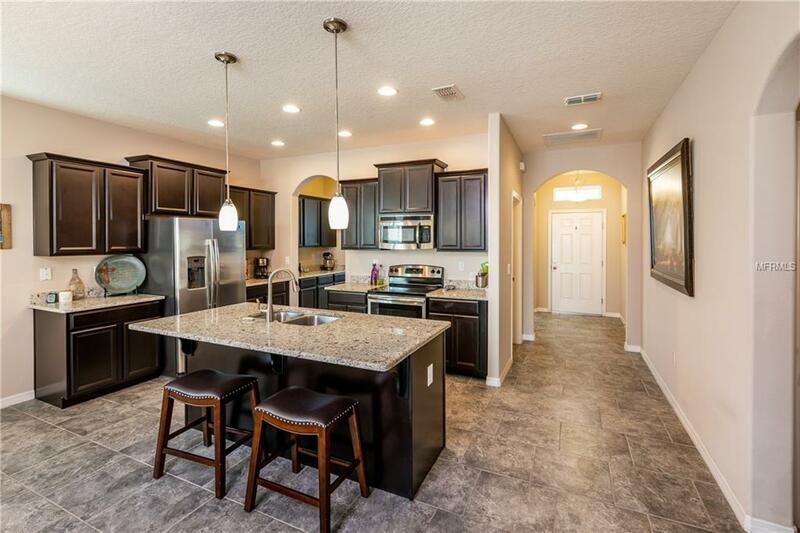 The kitchen features granite countertops, stainless steel appliances, butler's pantry, and offers pool views through the living area sliding doors. The downstairs master bedroom is a peaceful retreat, with more pool views, tray ceilings and an attached bath with deep soaker tub, walk in shower and a HUGE walk in closet. Upstairs you'll find a large living area, perfect for a media room or second family room. 2 generously sized bedrooms share jack and jill access to a full bath, with dual sinks and private shower area. A 3rd bedroom upstairs is perfect for guests with hall access to yet another full bath! Out back you'll find your own private paradise. 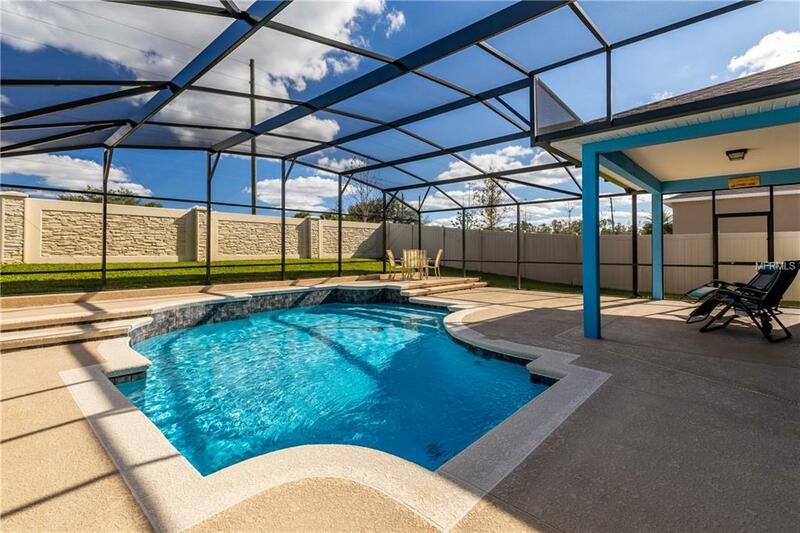 A covered sitting area is perfect for staying cool in the shade, while the screen enclosed pool offers fun refreshment from the summer heat. Located just minutes from shopping, dining and historic Mt. Dora, this property is also just a quick commute to Orlando with the newly expanded expressway. Don't miss your opportunity to make this beautiful house your home!! Interactive 3D tour available. Listing provided courtesy of Kw Elite Partners Iv.